With Karl Lagerfeld there's no half-assing a project. You either take it to the extreme or you don't do it at all. 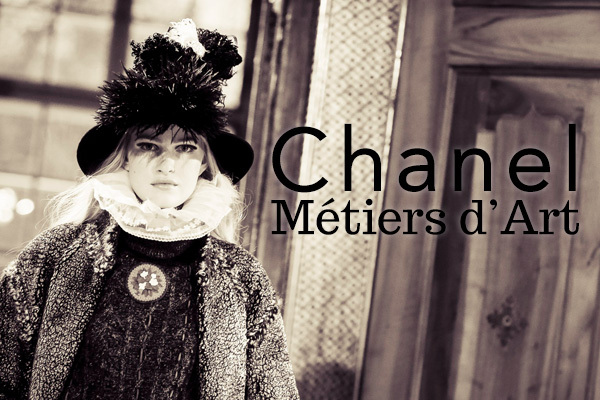 His latest Métiers d'Art collection (Chanel's version of pre-fall) is no exception. The decadent Schloss Leopoldskron outside Salzburg, Austria, is where the 2015 show took place, and Karl did not hesitate to draw from the many rich sources of inspiration he had at his disposal. Drawing from typical Tyrolean attire, models traipsed through the dining rooms and libraries of the baroque estate in lederhosen, feathered hats, and embroidered cloaks. Frocks made from curtains these were not; no, this was Chanel at its finest and most extravagant. As it should be, too. The Métiers d'Art collection is first and foremost a celebration of the craftsmen and artisans of the Chanel brand, a nod to all the tiny details that make Chanel so extraordinary. 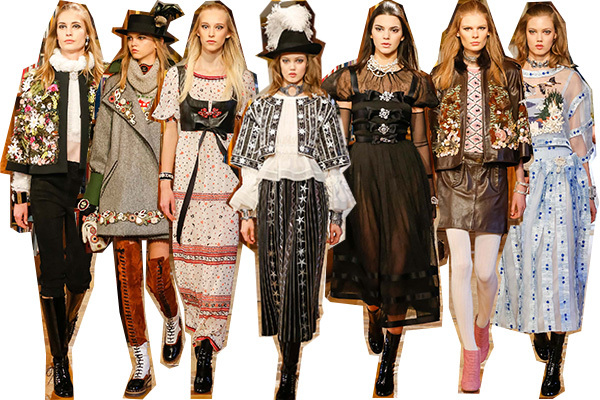 The clothes presented were over-the-top Alpine, a couture Disneyland fantasy world. And there is a fairytale quality to these clothes, and not just because I think of figures from "It's A Small World" upon viewing this collection. I almost want there to be a live-action fairytale film where the entire cast is outfitted with looks from this collection because these clothes are so fantastic, so kitsch in their appropriation of Tyrolean dress, and oh so very fun. Speaking of fairytales, the association with a fantastical fairytale presence becomes more apparent when one considers Lagerfeld's newly released fashion short-film that features Pharrell Williams and it-girl model Cara Delevingne as "reincarnations" of Emperor Franz Joseph I and Empress Elisabeth of Austria, respectively. 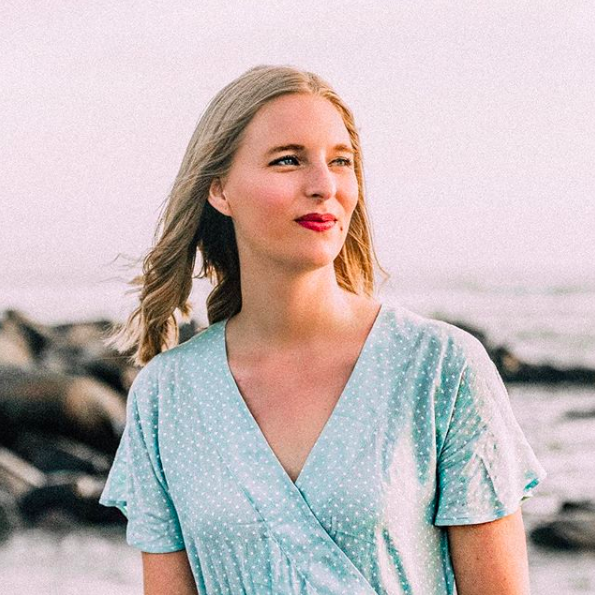 "Sissi" he calls her as they waltz in the twilight to a song that was written by Pharrell (and we get to hear Cara's lovely singing voice, too!). But it's also "CC" as in, the interlocking C logo and the initials of founder Coco Chanel. Lagerfeld is an artist and a showman, as collections like this prove time and time again, but he's also a businessman. He'll find any way he can to associate his inspirations directly with the Chanel brand, from "Sissi"/"CC" to the interlocking C hand motions Pharrell makes while dancing, to an appearance by the legend Chanel herself (played by a plucky Géraldine Chaplin). There's no confusion: the Chanel brand is everywhere. No one does over-the-top quite like Lagerfeld, nor so well; from anyone else, this collection is ridiculous and out of touch with trends that will affect the masses. 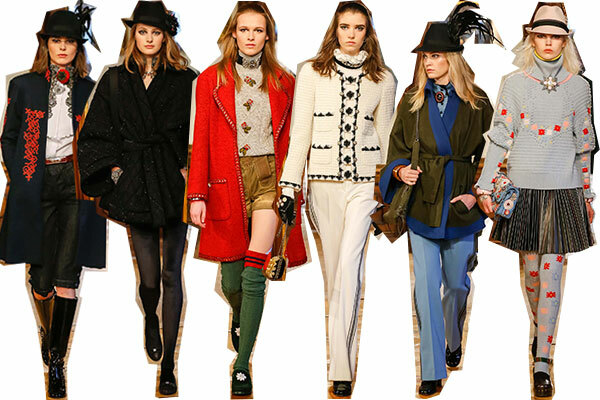 But mark my words, I pray to the fashion gods that a revival of the Tyrolean feather hat comes about, because it is actually an awesome look, especially when the Chanel girls pull it off so convincingly.